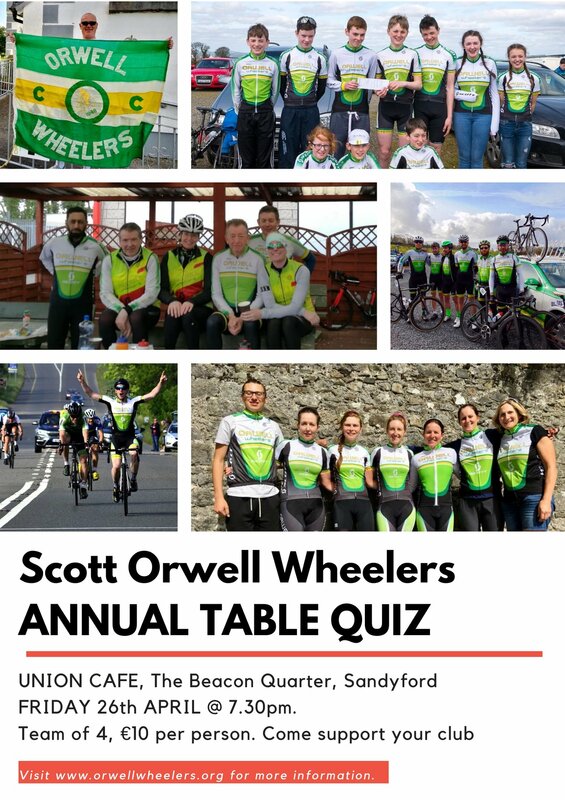 Founded in 1948, Orwell Wheelers is amongst the biggest and most famous cycling clubs in Ireland. Based in Dublin, we cater to all levels of fitness and ability - from beginners to elite riders, male and female from youth to veteran. 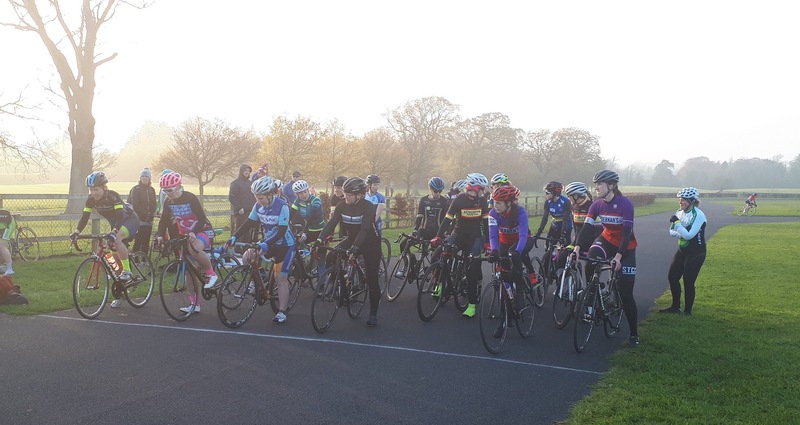 The club had its roots in road racing but has become very active in many other areas including leisure riding, audaxing, randonnée events, cyclocross and track racing. We run organised weekly training spins most of the year. Club Winter Spins for members assemble at Joe Daly Cycles in Dundrum most Sundays with groups leaving at intervals starting from 9:00am. Check out our club spin info and requirements and etiquette and technique for further details. Membership for 2019. Renewal notices for 2019 have be emailed to existing members. If you haven't received your email please email the Membership Secretary. For information on joining as a NEW member in 2019 please see the Membership Page of the website. PATHWAYS 2019 IS NOW FULL. 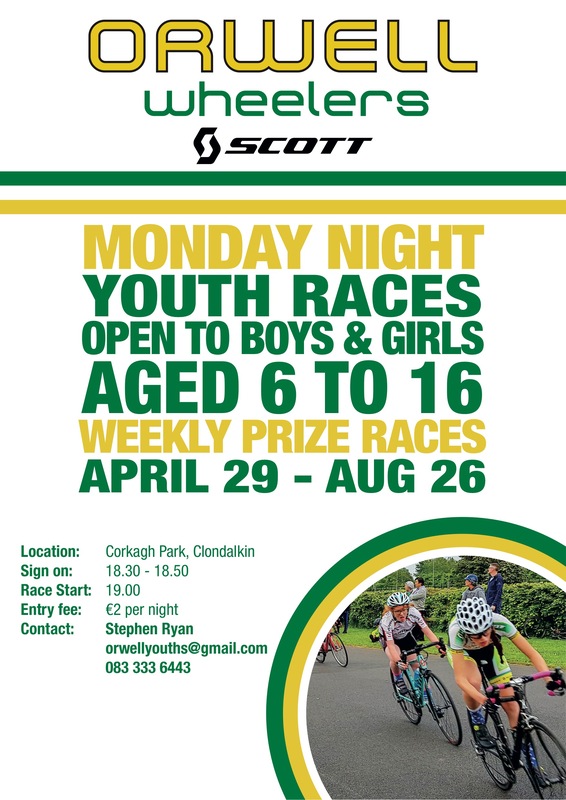 A blue sky, crisp evening in Corkagh Park with only a hint of an Easterly wind saw two great races tonight. Over 20 signed on to race the B Race and 18 for the A Race! 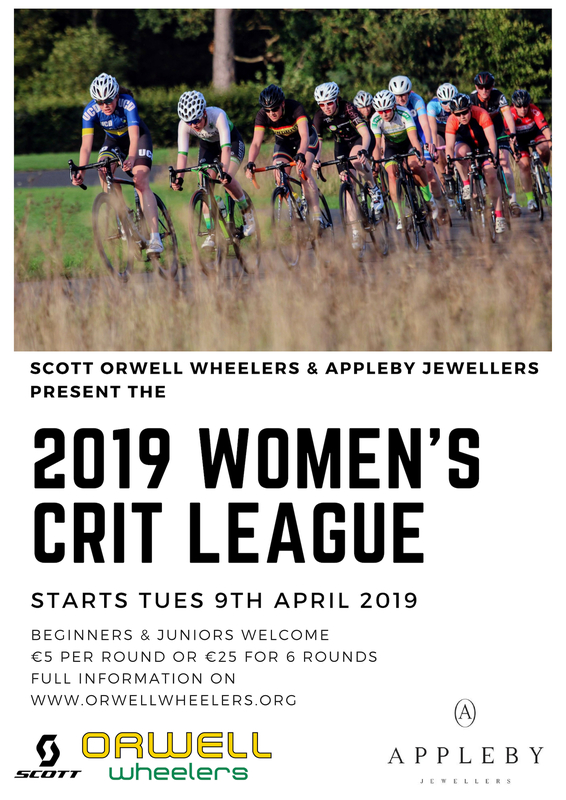 The Orwell Wheelers Randonnee is Back for 2019! As has become tradition, it’s taking place Saturday 4th of May@ 09:00am, the bank holiday weekend. 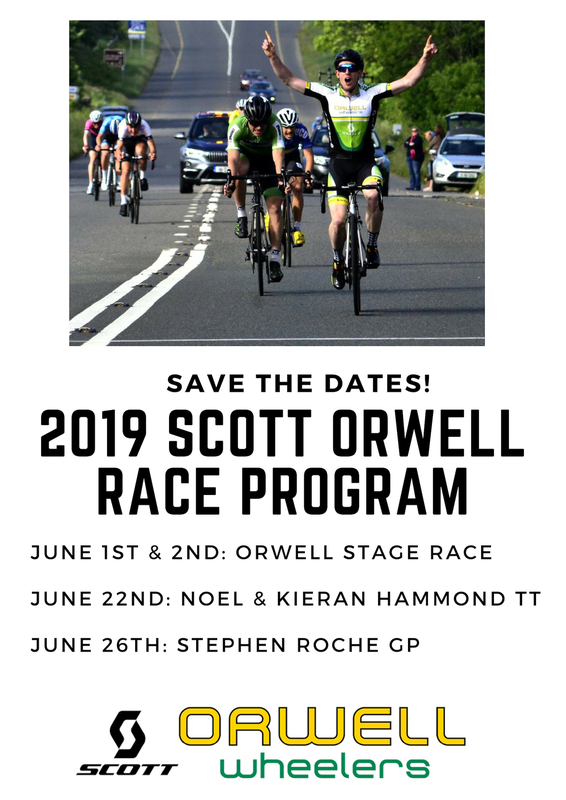 2019 is going to be another busy year for the Scott Orwell Racers and organizers! 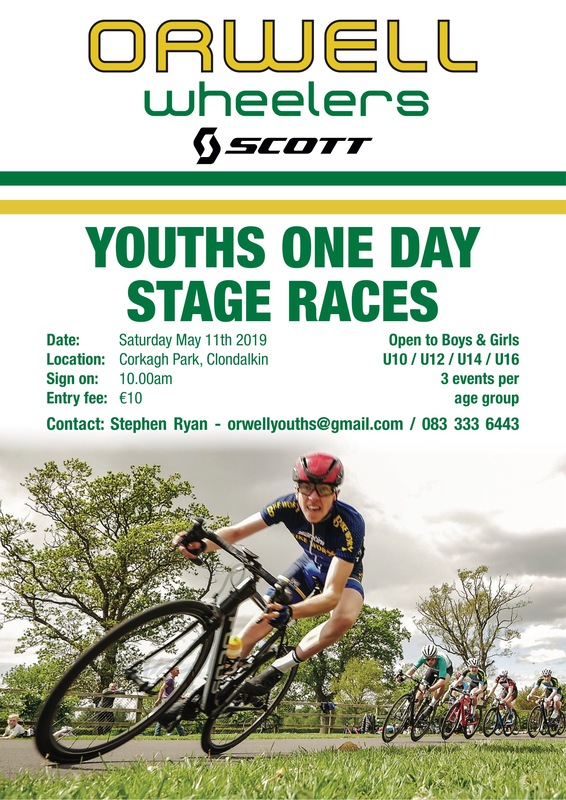 Put these dates in your diary now - for racing, marshaling or spectating. All are guaranteed to be epic! Ronan Grimes - A Man on the Fast Track! 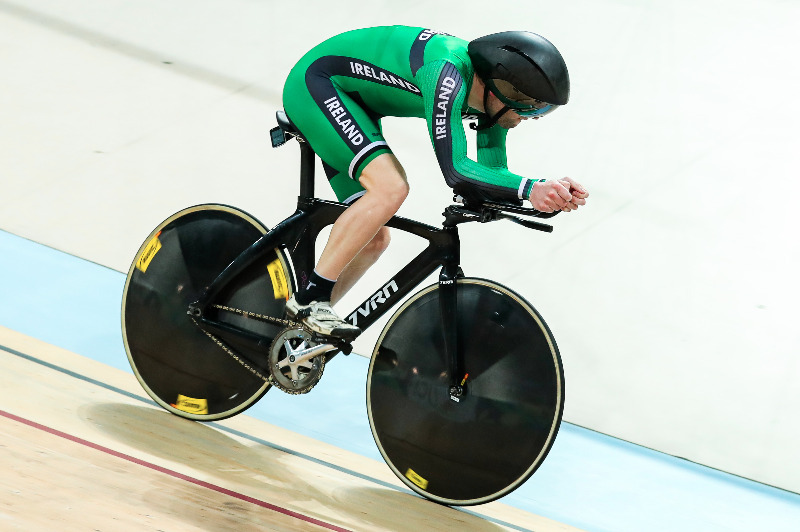 Ronan Grimes took up para-cycling relatively late in his life, but that has not stopped him from flourishing in the sport. Since he’s settled into the saddle, he has competed in both the Road and Track Para-cycling World Championships in the past two years, achieving a total of four top ten finishes. Get to know more about our club mate on the rise thanks to this Bio first published by Cycling Ireland. James & the Giant Audax!